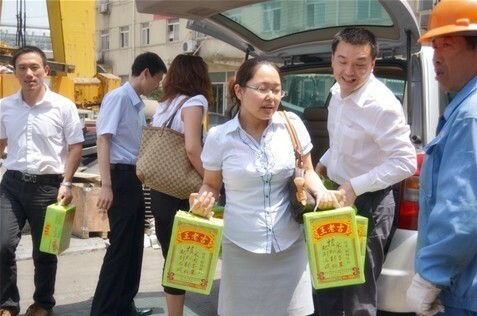 On the morning of May 20,2011, Visiting team from shenghai zenith Trade Center which organized by department heads turned up in zhuqiao industrial park logistics center , they hand over the fruit and drink to them, and Asked in detail about the progress of the Logistics work and the problem which need to be solved. Since the summer , the temperature in shanghai are continue to rise, Even reach 34 degrees centigrade on May 20.the increasing order and hot weather undoubtedly make a Great challenge to their work ." 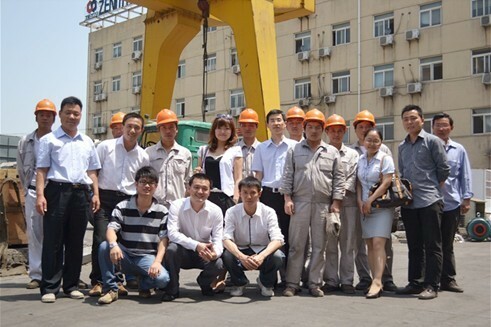 thank you for all of your quiet contribution and efforts to ensure the company’s Logistics picking ,here on , we represent whole staffs from shanghai zenith Bow to all of you. With this , the managers bowed blow to The presence of the logistics staff . It is said that, the gift beside herb tea ,there are also some fruit like watermelon.the header of logistics center indicate that they will consider the problem of relieving summer-heat for park staff as early , to make sure Safe and timely logistics rationing .